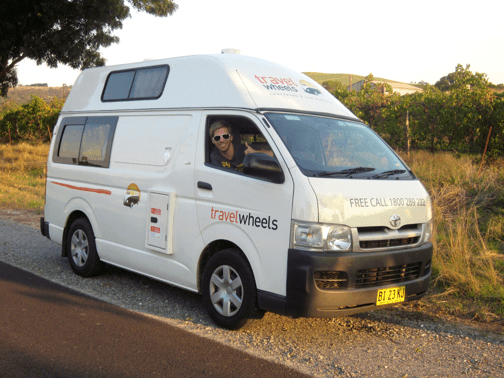 Travelwheels Used Campervan Sales Sydney is selling one of our Used Toyota Hiace 3 Person Campervan for Sale in Sydney. This is a fantastic opportunity to buy Australia’s most popular second hand campervan! Therefore call Shaun on 0421101021 to test drive one our used campers! 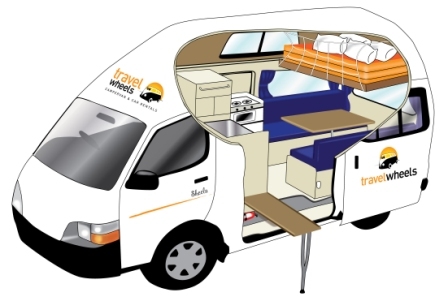 This ex-hire Used Toyota Hiace 3 Person Campervan for Sale in Sydney is a great example of what travelwheels campervan hire Australia sells at the end of each season here in Sydney. It has been serviced, fully checked and all the stickers have been removed. Therefore it’s easy to see why Used Toyota Hiace 3 Person Campervan for Sale in Sydney are so popular here in Australia! For example if you look on the second hand market, you will see just how popular these campers are! 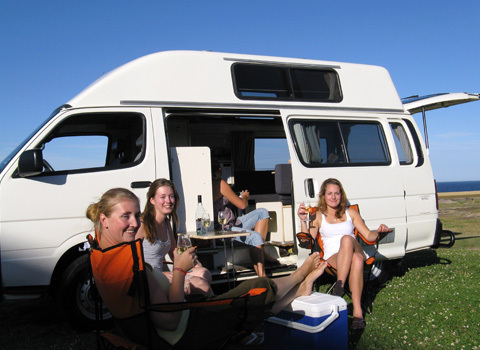 These hitop campervans for sale are very popular choice here in Australia. One of the benefits of this design is that it has a hightop roof. This therefore allows you to stand up inside when you are cooking or entertaining. These Used Toyota Hiace 3 Person Campervan for Sale in Sydney comes with lots of storage space under the benches. It comes fully equipped with a big kitchen including a sink, fridge, 2 burner gas stove and microwave. Here in the back are two comfy benches and a table. You can easily convert the table and benches to a double bed for the night time. 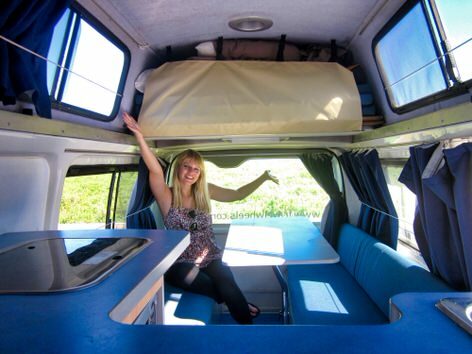 In the roof space inside this Used Toyota Hiace 3 Person Campervan for Sale in Sydney there is a single roof bed. Used Toyota Hiace 3 Person Campervan for Sale in Sydney – why buy from us? 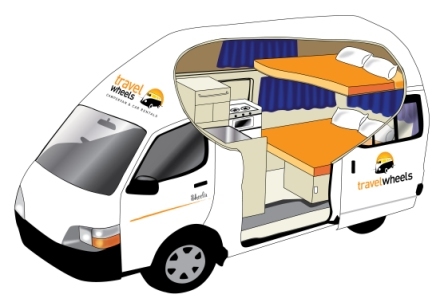 First of all you get a lot of extra warranty included in the prices when you buy a Used Toyota Hiace 3 Person Campervan for Sale in Sydney from Travelwheels. 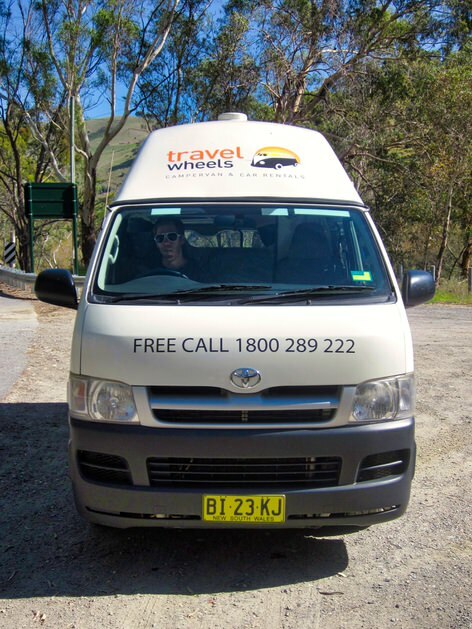 Feel free to contact Travelwheels Used Campervan Sales Sydney on 0421 101 021 and ask all the question you might have about buying a campervan in Australia. 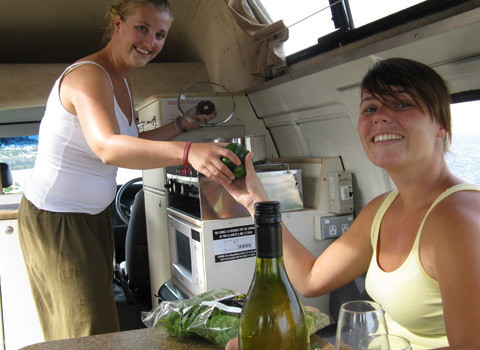 We can also help with planning a trip around Australia with a used campervan for sale.